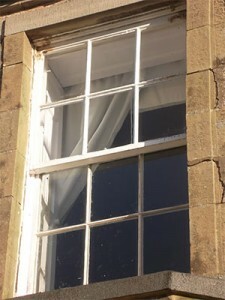 Sash and case windows should remain in good condition if they are looked after however age and weather may cause some windows to need an element of refurbishment. Regular cleaning and maintenance will help prolong the life of your windows. WM Mallen supply and fit new PVC windows and doors to properties across the Scottish Borders and North Northumberland. New windows and doors can immediately add value to a property whilst adding to the security of your home. WM Mallen Joinery manufacture, supply and fit timber frames for sash and case windows and casement doors. Bringing you European oak of only the highest quality frames. 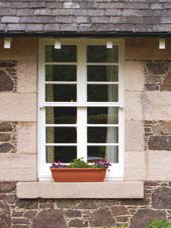 Wm Mallen Joinery, established in 1983, based in Town Yetholm in the Scottish Borders, is predominately a joinery business that specialises in sash and case windows. Over the last 20 years, Wm Mallen joinery has built up the business to focus on the refurbishment and replacement of sash and case windows alongside the development of a draft proofing system which can be used in conjunction with the windows and doors. The company works hand in hand with Pilkington Spacia and specialises in timber and PVC windows and doors, covering the Scottish Borders and North Northumberland to Newcastle and the North West. Catering to all properties and size, from bungalows to Country Estates and listed buildings; size is not an issue. The workshop is dedicated to manufacturing sash and case windows and doors for Spacia, where double glazed units can be developed into single phased units. Director William Mallen surveys all windows and doors prior to work being carried out. The thriving Borders company prides itself on attention to detail and dedication to the craft. Clients are encouraged to call and discuss requirements over the phone and Wm Mallen Joinery will then use Google Interactive Maps to survey a property first before visiting and measuring up. This way of working is very efficient and can save time for the client initially. Please give William Mallen a call to discuss your requirements and have a chat on 07977891048.